If you have an underused pool table in your home, consider donating it to a local youth organization. This 8′ ABC found a new home at the YMCA after school club in Mission Viejo, California. 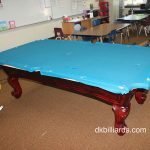 We were able to move this ten your old pool table from a nearby home and reassemble using the existing standard blue cloth. After finishing homework, students will now be able to enjoy learning the game and having fun with their friends. Does the organization have ample space for the pool table size you are giving? 8′ pool tables need 13’3″ x 16’10” of clear space to play with a standard length cue stick. Speaking of size, do you have exact dimensions of your billiard table? Measuring the playing field is best and will allow you to get an accurate quote for moving. Who will be paying for the move? A pool table cannot be picked up in one big piece and hauled away. Proper moving techniques by professional pool table movers with insurance needs to be budgeted for. Most organizations need help with these costs. Is your table in good working condition? Just because your pool table looks great on the outside, doesn’t necessarily mean it is ready for heavy use. What is the condition of the felt? If the table hasn’t been used in many years, it may need new cushion rubber for balls to bounce properly. Leather pockets age and dry out. After many years of non-use, pocketing balls may cause weak straps to break. These costs can add up quickly. Are you really sure you want to get rid of your pool table? Remember, a pool table can be safely dismantled and stored indefinitely until you are ready to use it again. We love seeing the joy on the faces of clubs benefiting from donation. Check around to see which groups in your neighborhood would like the opportunity to accept a gently used pool table. If anyone is interested we have a table to donate. Mission Viejo, CA Needs re-felted but otherwise great shape! We have a beautiful Brunswick Pool Table with a table cover in Excellent condition we would like to donate. Location is is San Jose , Ca. Please let me know if you can provide any resources we also have accessories. Your best bet is going to be to stay local. Please, contact a billiard service company in your area for more information. We are located in Orange County. I live in the Phoenix metro area and have an 8’ Brunswick pool table to donate- excellent condition. Both the Boys and Girls Club and Big Brothers/Big Sisters are not interested. The former has no truck to make pick-ups and the latter, while having a truck, only wants household items and clothes. Any suggestion of a worthy charity here in Phoenix which would pick-up my pool table? Thanks in advance. Like to donate my pool table. I am in Dundee, Illinois. Probably not in your area, but I have an antique(?) one- piece slate pool table in fair condition. Free for the pick-up. It’s very heavy. Contact by email. I have an 8 foot single piece slate pool table, in good shape, that I would like to donate to a Boy’s or Girl’s club, or similar organization. Felt and bumpers changed a few years ago and has only seen light use since then. In Anaheim, CA area. Please reach out to the Boys and Girls clubs in the area. I have used pool table a d used staire transport for old people to go up and down the stairs. Call me at phone number #847-813 5180. You have pick it up and assemble it. I have a full size pool table that is in very good condition. I would like to donate it to a good home. How do I go about finding an individual or organization that could put it to good use. 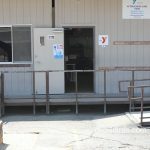 Lynn, I always tell folks who are seeking to donate a pool table to check with Boy’s and Girl’s clubs in the local area or Church Youth Groups or even Sober Living Facilities. Our church is in need of a good sturdy slate pool table for our youth department. We have been looking for one, but haven’t been able to fine one. Saw your request. We have an old one piece slate pool table still in good condition that our sons have long outgrown. If you have a way of taking it (you’ll need some strong fellows and a truck), it’s free . We need the space! We have a 7′ BuckHorn Pool table and it is a slate table, It is a slate table. It is in wonderful condition, we don’t use it anymore and we could use the space. You would have to make arrangements to get it moved, unfortunately we do not provide this. I have a pool table in great shape that I would like to donate. Solid oak, blue felt. I’d have to measure but pretty sure it is a standard 8′ table. How do I find a place to donate? Linda, I think you may find a home for your used pool table by reaching out to friends, family or coworkers. 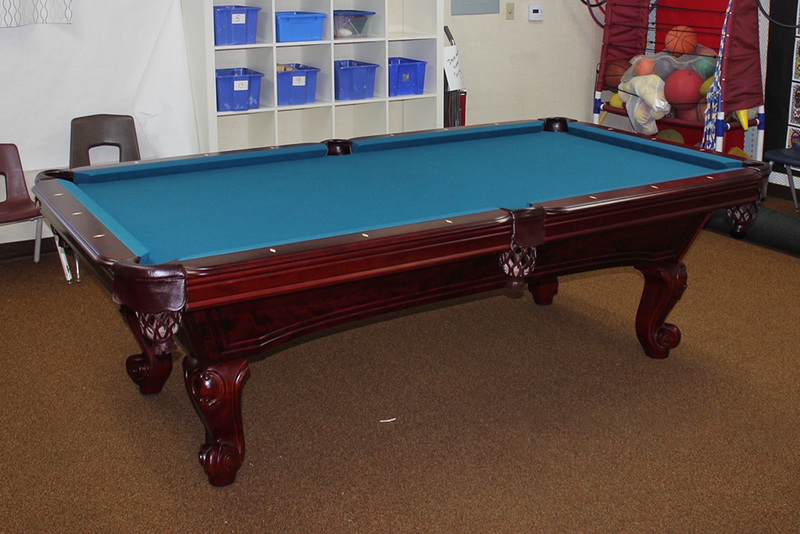 See if your local Boys and Girls club is in need of a donated pool table. You could also try Church Youth Groups or Sober Living Homes in your area. Another organization you can reach out to is called Olive Crest. Good luck, David. I’m thinking that a pool table that age will need much restoration. Components such as the cushion rubber, leather nets and felt will most likely need replacing. If you have had these parts serviced recently then a donated pool table would be a welcomed asset to a Boy’s and Girl’s Club, Youth/Teen Center or Sober Living Facility in Your area. I have a Olhausen 4×8 table I would line to donate of give away. Let me know if anyone is interested. Do you know of any charities/organizations that need a pool table? I have one that I need to donate. Not off hand. You will have to research your local area. Start with friends and family first, asking if they know a charitable organization in need. Good luck!